You were looking for them and here they are! 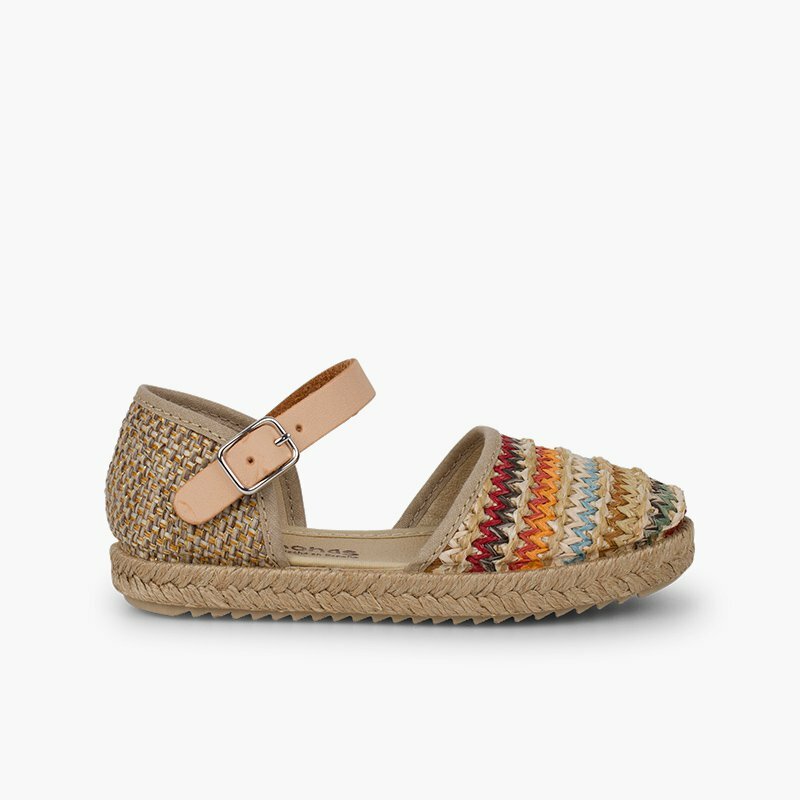 The girls' espadrilles that everyone will be talking about this season! A classic model with a modern twist, thanks to their fashionable, original multicoloured fabric. 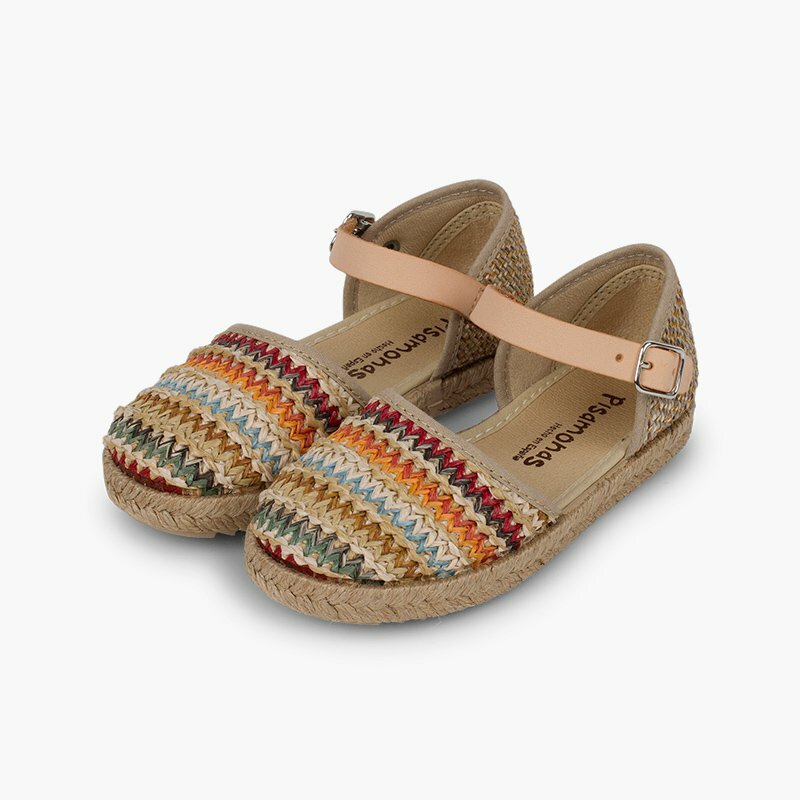 The front is made of multicoloured raffia, with embroidered fabric on the heel and a jute band on the sole. Your little one will want to put them on immediately! 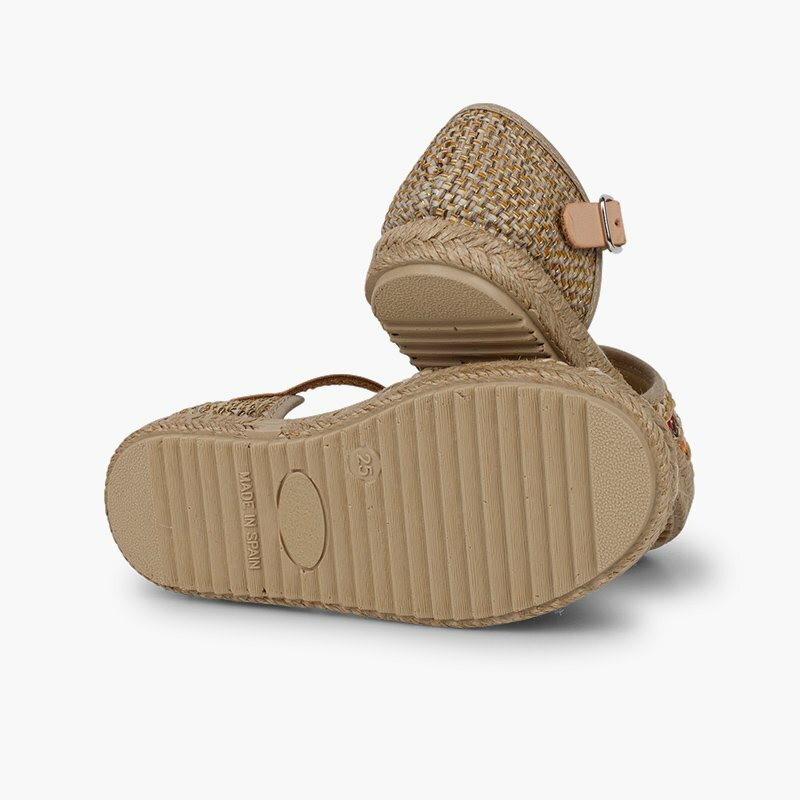 These espadrilles also have a leather strap with buckle closure to attach them to the foot, and the interior is lined with a super soft fabric to protect your little one's skin in the most delicate way. 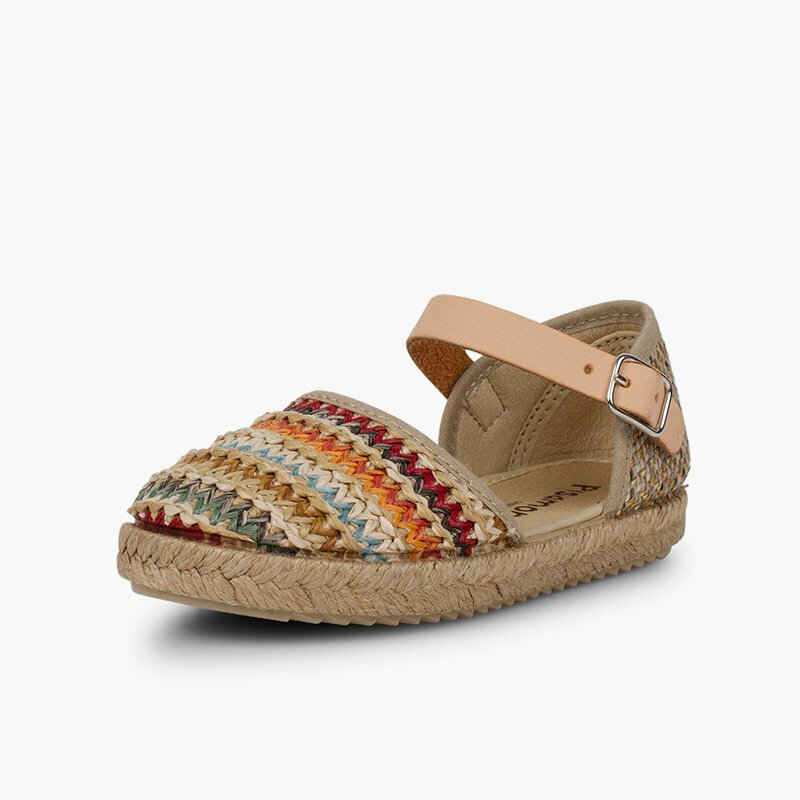 A super original pair of espadrilles that will go perfectly with all their spring-summer looks, and grab everyone's attention! They can be worn with dresses, skirts, dungarees and trousers! Ideal for the cutest members of the household. Sizes from 22 to 30, so sisters or cousins can be matching for the most special occasions. 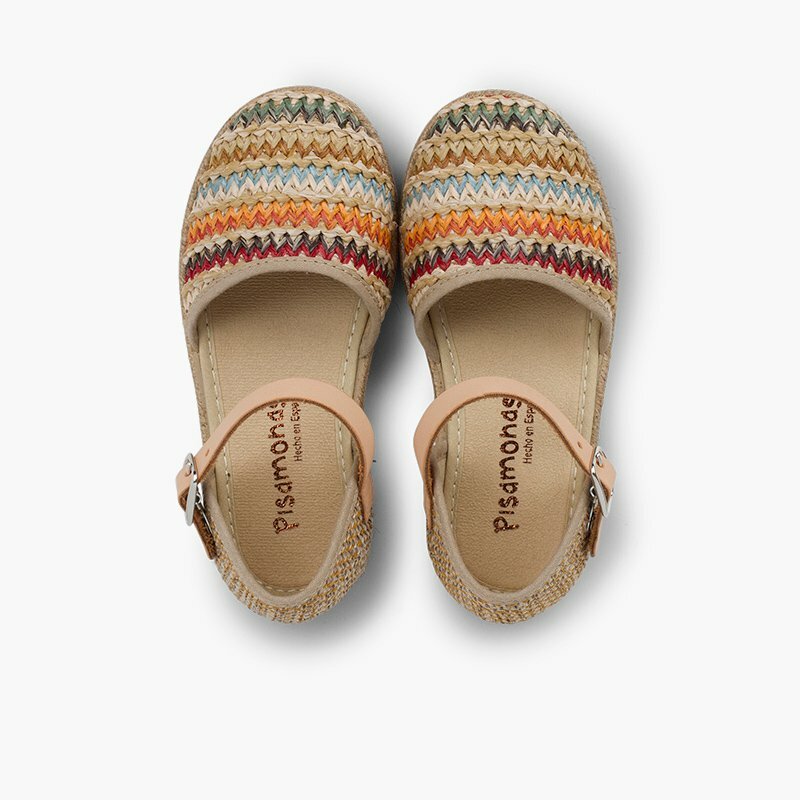 Pisamonas design, quality and comfort. As always, with free shipping, exchanges and returns! Durable, practical and so summery! 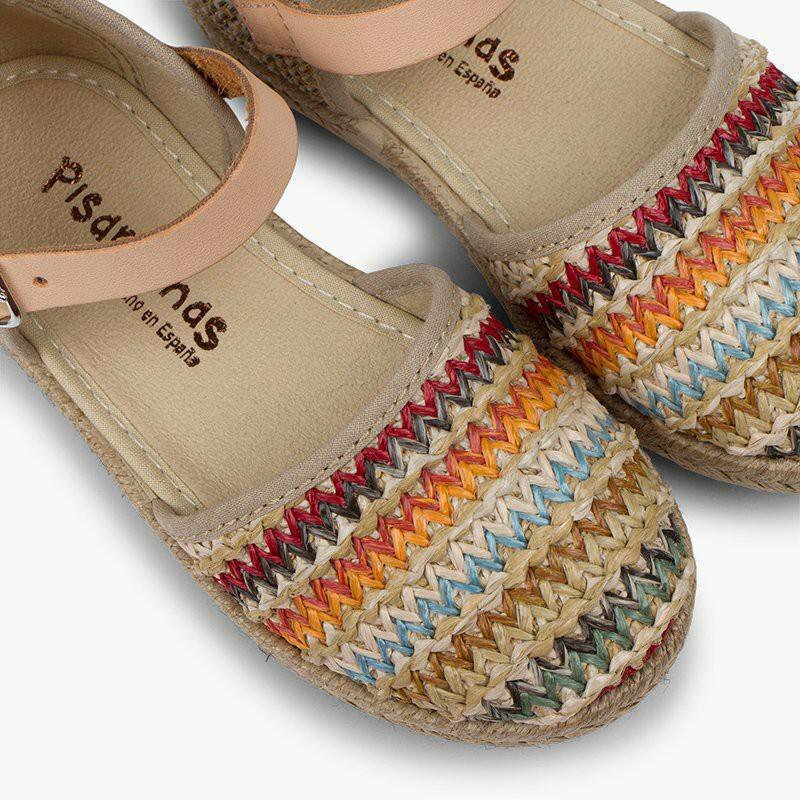 The trendiest espadrilles this summer are made from raffia! A buckle strap makes sure the shoe stays on properly!